If films such as Being John Malkovich, Adaptation and Eternal Sunshine of the Spotless Mind are referred to as Charlie Kaufman films when he did not direct them, it is in recognition of Kaufman’s singular imagination. The defining feature of his scripts is a distinctly odd central character, whose abnormal mind drives the plot of the film. Along with the audience, the protagonist loses the ability to distinguish between reality and fantasy. In Kaufman’s directorial debut, Syndechoche, New York his longest and least accessible film, an unhinged theatre director creates doppelgangers for his cast, who eventually swap roles and live out their lives in the vast set that becomes their real world. 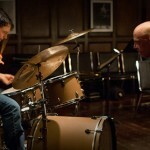 Anomolisa, Kaufman’s second film as Writer and Director, a credit shared with stop-frame animator Duke Johnson, was originally produced as a sound play experiment for composer Carter Burwell’s Theatre of the New Ear. This might explain the central role of voices to Englishman Michael Stone (David Thewlis), a high profile motivational author and speaker who has settled in LA with his wife and son. We join him in the flight from LA to Cincinnati where he is travelling to promote his new book, How May I Help You to Help Them? at a customer service convention – and perhaps to look up his old flame, Bella. Stone checks into the Fregoli Hotel to the sound of Muzak. Visually, it is also a typical corporate hotel: bland, soulless and pricey. Various people he meets praise the hotel but Stone sees its banality. Only the name is unusual, and it holds the key to Stone’s nightmarish visions. It is no spoiler to mention that Fregoli is the name given to a delusional illness in which the sufferer believes that different people he knows or meets are, in fact, the same person. Usually that person is disguised in order to persecute the sufferer. At one point, when fleeing down the corridor, a part of Stone’s face falls off like a mask to reveal a mechanical object underneath. On the plane Stone had re-read the angry, expletive-heavy letter that Bella had sent him after he dumped her. Around the time the stressed, pill-popping Stone orders room service, we realise that everyone has the same white male voice (65-year-old Tom Noonan’s). After ordering dinner for one he contacts Bella as though hoping she would not be in. When she answers he nervously invites her for a drink which she cautiously accepts, after warning him that she has changed. His consumption of Belvedere martinis does not help the conversation from which Stone appears completely detached. But when Stone tells Bella he is married with a child, and then invites her up to his room, Bella makes it clear the relationship is over for good. Stone is, like all the characters, a tiny puppet with the joins of the panels of his face visible like the seams on Dr Frankenstein’s monster. He, like all the characters, walk with a mannered gait. This might be a nod to the protagonist in Being John Malkovich: a puppeteer-turned-file-clerk. More likely, the seams are in keeping with the hyper-realism that characterises the set design, clothing and even the characters’ imperfect bodies. As Stone is taking a shower he hears a female voice and rushes to find its source. He knocks on a neighbouring door opened by an attractive blonde woman, but it is the woman’s roommate, a short, mousey brunette with a scar, who attracts Stone’s attention. The girl is Lisa Hesselman (Jennifer Jason Leigh), an awkward, insecure and plain-looking customer services rep from Akron, Ohio. She has been saving for months to hear her idol speak and is stunned when Stone invites her to his room after drinks in the bar. Lisa cannot know that her ‘voice sounds like magic,’ or that her striking rendition of Cyndi Lauper’s ‘Girls Just Want to have Fun’ (sung by Jason Leigh) would move this human stone to tears. Lisa, in awe that such an intelligent man would find her interesting, admits that she needed a dictionary to read his books. After singing part of ‘Girls’ in Italian at Stone’s urging, she mentions that the inhabitants of Brazil speak Portuguese as though to impress Stone with her knowledge. When they agree that that is an anomaly, he renames Lisa, Anomalisa. She is his anomaly; although he stops short of confessing that hers is the first human voice he has heard, perhaps in his life. 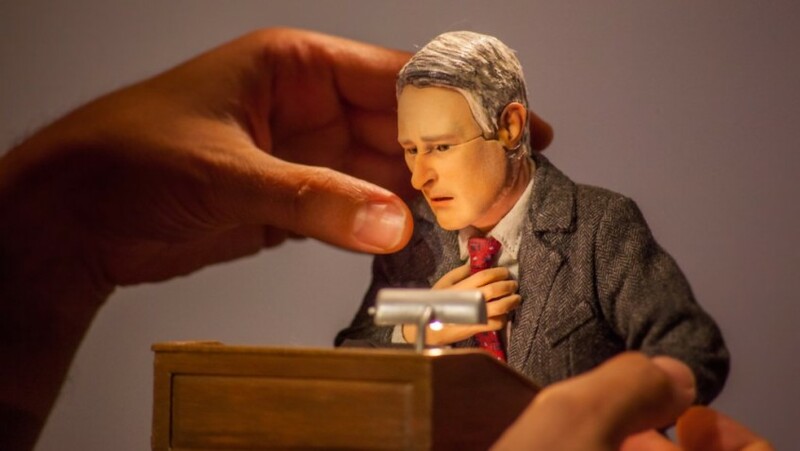 Anomalisa is a psychological drama in which a man has an Existential crisis while on a business trip, confronting a frightening world where everyone is the same and everything is banal. The film is alternatively labelled a comedy and a drama, but it is also a horror movie and a love story. But just why we care about Stone – a selfish alcoholic and a predatory philanderer – is the real wonder of Kaufman’s deeply moving film.